SOG Knives announced an early product release for 2017 via email today. The Ultra C-Ti which features a Carbon Fiber Handle, VG-10 Blade and a Titanium Clip. Aero Precision announced the release of their new 34mm Scope Mount during Media Day. The price point will be in line with their other sized Scope Mounts already available. The above image features the 34mm Scope Mount, which has not yet been anodized. 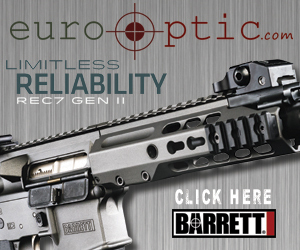 Aero Precision, a company that does not appear to have any thought of slowing down anytime soon, has recently acquired VG6 Precision. VG6 Precision is an AR-15/AR-10 accessory and component manufacturer that has produced several highly effective muzzle devices such as the Epsilon and Gamma Muzzle Brakes as well as the CAGE Device.